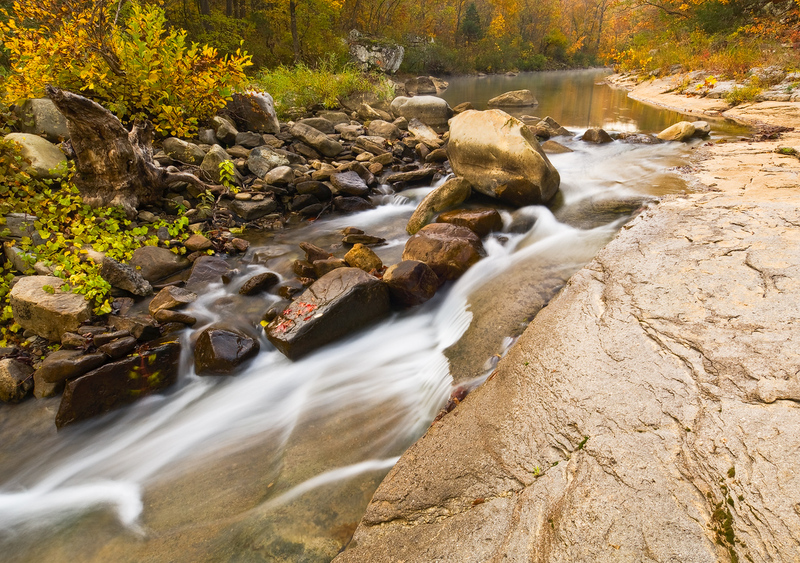 Water cascades down a section of Richland Creek during October. Arkansas Nature Photography. Photo © copyright by William Dark.